CDs were a great success and a great progress as well from floppy disks. CDs provide large space (about 700-800 Mb) and allow to install complicated software programs to our computers. 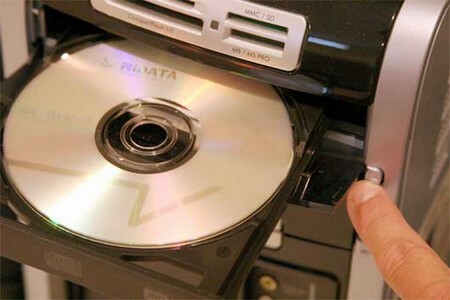 We can now package extremely high quality music in CDs and listen to them by just inserting into our computers CD drive. CD-Rs are recordable compact discs; which means that we can easily ‘burn (store or overwrite on)’ them with whatever we want. We can make our own audio on these discs. Difference between CD-RW and CD-R. CD-RWs are rewriteable while CD-Rs are not. Once the CD-R is ‘burned’ with some data for example music files, it can’t be modified or erased from it. While, we can modify data already stored in a CD-RW because of its ‘read and write’ technology. Optical drive. For reading and recording of compact discs, some optical drive is needed. Optical drives are specific in function which means you can handle a CD-R disc only with the CD-R optical drive. However, due to backward compatibility of this technology you can read a CD from a CD-R drive, and so on. CD Burning software. Only CD-R drive cannot suffice when you came to write a CD-R disc. You must have a software program which carries on the process of ‘burning’, a process through which you can store data of your own choice and even modify it. Erasing. First of all insert your disc, which contains your music files, into your computer’s optical drive. Close the ‘auto play’ tab or if Windows Auto play automatically opens media player close that and start the ‘CD Burner’ and then access the CD-RW. You can easily delete the files you want through CD Burner program. Nowadays, Windows media player also has an option to Burn CD-R but usually it takes more time. A specific Burner Program designed for only Burning purpose is better, and NERO is one of the examples. Overwrite the music files. When you delete a file from CD-R it is not actually deleted, it only becomes unreadable and still remains in the CD-R. You have to replace it or overwrite it with some other music file or some other file in order to get rid of it completely. This procedure is also implemented with the help of CD Burning Program. The most interesting feature of this technology is its backward compatibility which means that you can use DVD-R optical drive to handle the CD-R or CD-RW. However, the vice versa is not true in this case.